Deploying an effective Fault Management solution is typically the first step on climbing the IT Maturity Ladder and is at the heart of all successful Operational Support Systems. Understanding the current operational state of your network and IT resources is critical in monitoring and maintaining services levels. For this reason adopting a holistic solution that supports your entire infrastructure is key, when trying to make sense of how the current state of your underlying network components, physical, logical or virtual, affect your Services and Business as a whole. The Fault Management function is essential in a complex technological environment. Most companies have deployed a myriad of tools to collect millions of events, logs, and messages from their many network devices, servers and applications. Unfortunately, these tools typically have separate user interfaces, monitors/collectors and databases and require differing technical skills and abilities to administer and maintain. As a result, the operations staff face issues as they attempt to make sense out of this “big data” event load. To make matters worse, this approach can make it impossible to get an integrated, end-to-end view of the network or services without costly manual analysis and/or time-consuming integrations. This situation reduces team productivity, lengthens mean time to detection and recovery, increases costs, and negatively impacts customer experience. 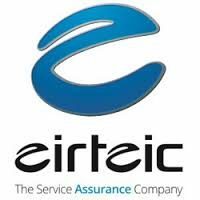 Eirteic hold key partnerships with 2 of the leaders in the Fault Management space, Monolith Software and their AssureNow offering as well as IBM and their Cloud and Smarter Infrastructure solution sets.